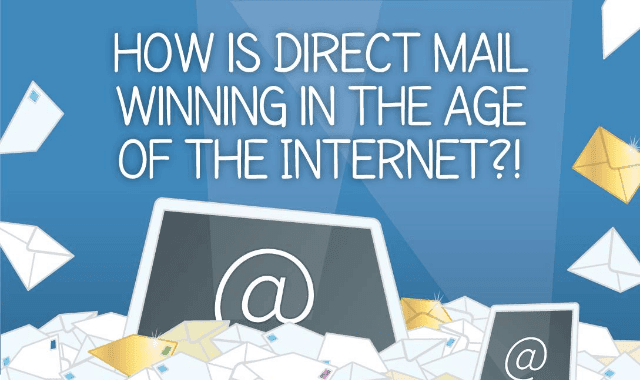 How Is Direct Mail Winning In The Age Of The Internet #Infographic ~ Visualistan '+g+"
Snail mail and the postal service are big business. Every minute, the USPS processes 353,000 pieces of mail! In total, they don't just service the United States - they handle almost half of the whole world's mail. Besides the letters and government mail, there's a lot of advertising or direct mail that goes through the USPS. They actually operate their own program called "Every Door Direct Mail." In this infographic, we'll show you just how big direct mail is. You might think that email and digital marketing have completely replaced physical marketing, but you should think again - every year, big businesses spend billions of dollars just trying to reach customers like you.